I ordered my parts today. I milled my grain on the motorized mill. It took 3 min and 25 sec to mill 10 lb of grain. How long it will take me to mill 300 lb? And as it just so happened, today I added an on/off switch in a box between the motor and the mill. Running over tho the outlet to pull the plug was a little too much.... plus it could be a safety issue. Yes, that I knew.... not only that, they can hold their load for a while after disconnecting the supply..... so anytime you mess with them, disconnect and then wait a few minutes. 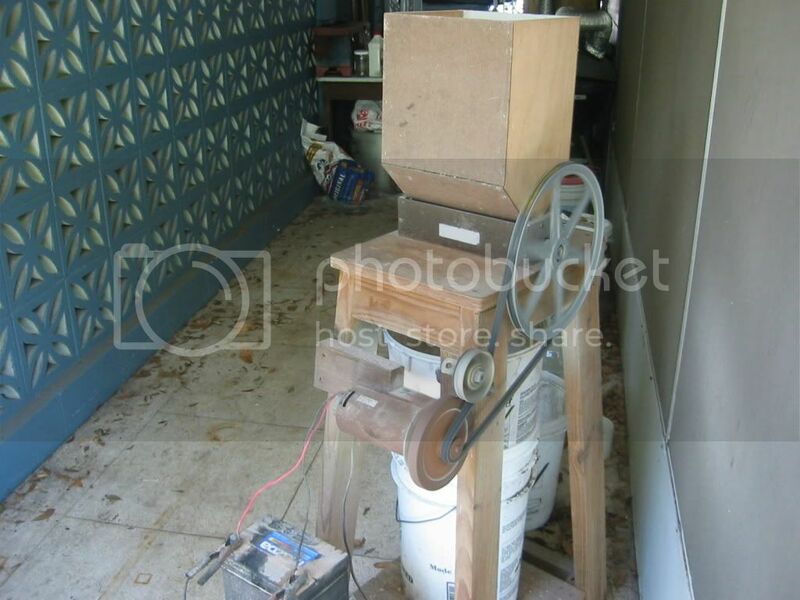 I know lots of other people have used this motor successfully... I'd wouldn't mind another review before ordering it, though. I have the same motor, it works fine. 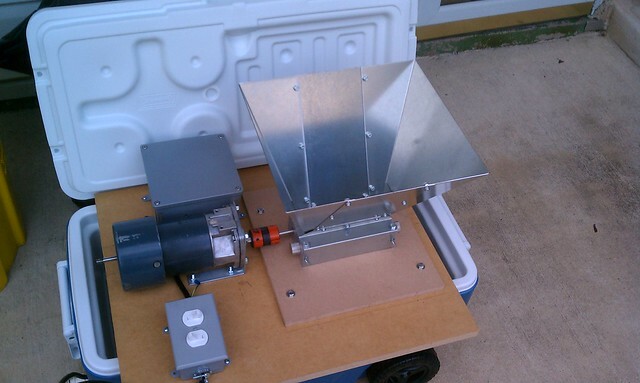 Fill the hopper, start the motor, mill the grain! I was also thinking of getting a Monster Mill 2.0 (2" rollers), but with this motor I might want to stick with the 1.5" rollers. will be shipped to the address shown. I believe it all depends on whether you want to break couplings, or burn motors. But, I've been wrong, before. The buna-n spiders(black) are rated at 26 in/lbs. The urethane spiders(blue) are rated at 39 in/lbs. Those are the ones I bought. I took a photo of my mill yesterday. It's a JSP with an extended hopper that holds about 20# of malt. It is powered by a reclaimed 12 volt tread mill motor that runs off a Miata battery. It's not pretty, but it works well. It is very slow, but that's what I wanted. I wired it up with a combination single pole / 3 way switch so I can reverse it if necessary, but I haven't had a jam yet. What did you use for the bracket to mount the motor?